If you want to learn about the Basics of Blockchain, we worked with the ISTE Games & Simulations Network to develop discussions and professional development while we were reading Don and Alex Tapscott’s Blockchain Revolution. Intro to the Blockchain discussion recording with a bit of bitcoin too. This is a free event, being held online. 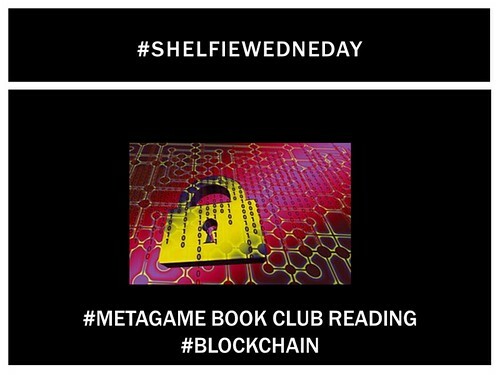 Click here and also receive the "Library Blockchain Bonus Guide" with 95 special resource links! to attend live or to receive the recordings links afterwards. This event is being organized in partnership with Drs. Sue Alman and Sandra Hirsh from the San Jose State University School of Information as part of their IMLS-funded investigation of the potential uses of blockchain technology for the information professions. 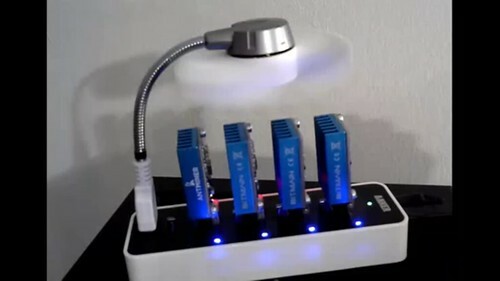 See mini-conference topics, and full descriptions at http://www.library20.com/page/blockchain. 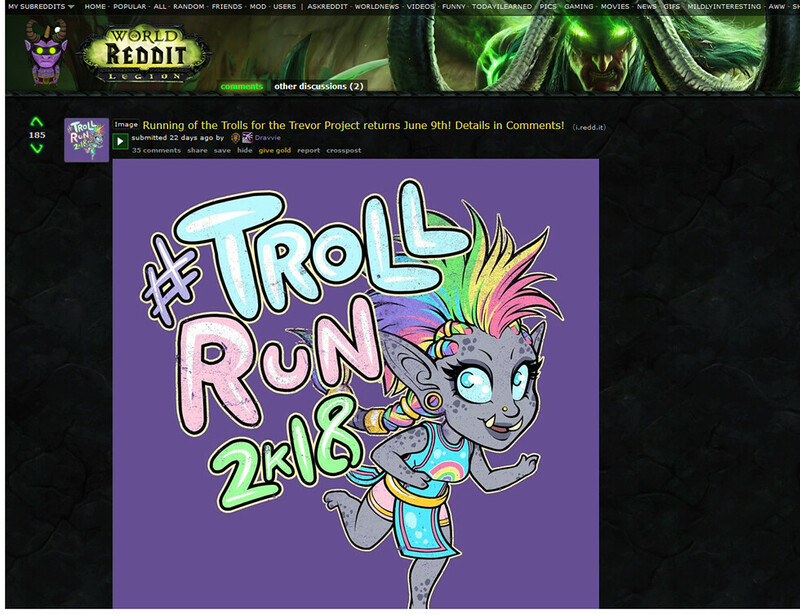 Read about the #TrollRun2k18 on reddit. The run starts at 9 pm ET/6 pm PT but like any run, you should plan to be there 2 hours ahead of time. Meetup is in the troll starting area on Feathermoon on the Horde Side. If you don’t already have World of Warcraft, You will need to download it which can take a few hours.You can run on a free account. 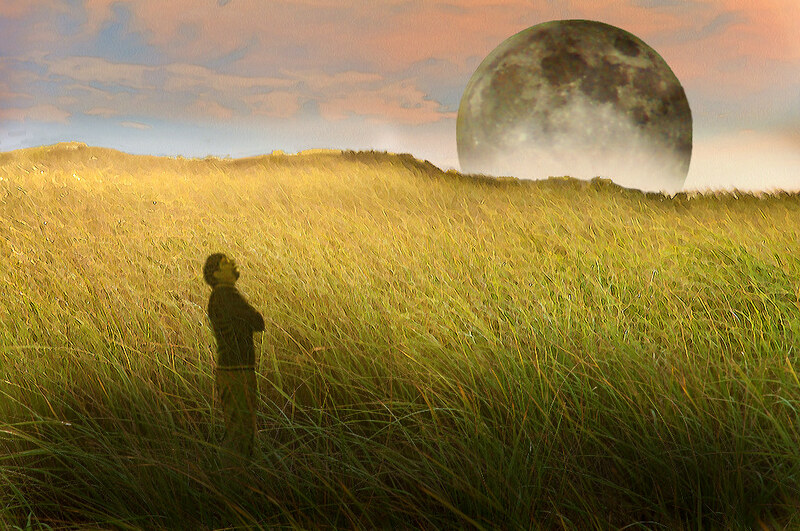 On Sunday Sherry Jones led us through an Ethics & Games webinar on To The Moon. The indie game above received a 10/10 score from steam folks. It is K-12 friendly, takes 4.5 hours to play and is available on many platforms such as Android and iOS. A film is scheduled to be made of game in 2018. Dr. Jena Kiekel, Assistant Professor at University of St. Thomas is asking for respondents for a survey on a research project on school climate around the subject of school violence. It is estimated that it will take 10 - 15 minutes to complete the survey. 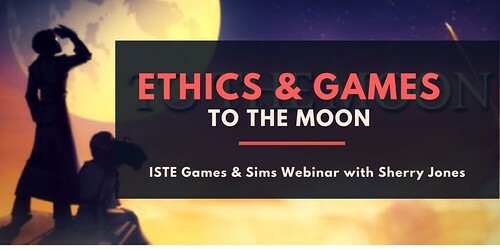 Join us for ISTE Games and Sim Network's monthly webinar on Ethics & Games with Sherry Jones over Google Hangout https://youtu.be/DJjHO5TZIqg. This month we will look at To The Moon. We are in the process of finalizing our leadership team. 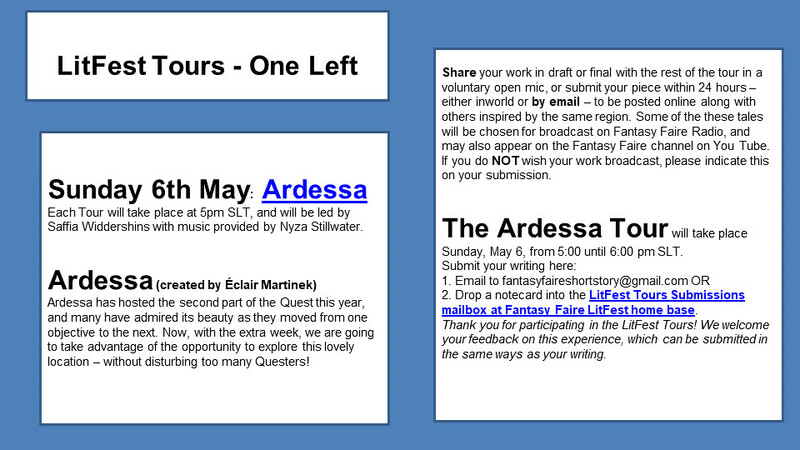 We didn't want to miss anyone, so If you are interested, we want to invite you to collaborate with us. Our vision for next year is to continue to build the network, increase the knowledge base on games and simulations in learning, and advocate for the use of games and simulations to foster deeper learning, engagement, and inclusiveness in education. In the leadership group, we play games and simulations, talk about games and simulations, consider instructional strategies that can be used to frame games and simulations discussions, and then figure out how to use them in our F2F and online classrooms. These slides are from an introduction presentation about our network that we offered earlier this year. We are a chatty group, but we do most of our chatting synchronously on Google Hangouts and Discord. We are willing to try out new technologies and are always looking at virtual reality and augmented reality applications. At the same time, we continually look for great interactive fictions and board games that can be used for educational purposes. We are game designers and we love it all - mechanics, dynamics, aesthetics, and narratives. If you are just starting to learn about games and simulations - that’s fine. We’re looking for enthusiastic collaborators, not experts. We are all learning while we are doing this. During the year, we create professional development webinars and material on a monthly basis. We have two or three book clubs a year. We participate as a network in online events in digital games and virtual worlds. We also try to send out the Virtual Connected Educator email blast at least once a week. Fair warning: April through June are our busiest months and we go all hands on deck for everything during this time. During the rest of the year, we expect leadership to participate in or facilitate at least one professional development event per quarter. We also expect you to help us with outreach efforts by broadcasting our events via emails and social media to at least one large group. You can be really creative about who that large group is. If you are interested, please take a look at our form https://goo.gl/forms/nta2MR5Lf2vpTE6h1 and fill it out if you would like to join us. If you are a member of ISTE, we are looking for an outside group of collaborators and advisors too!